Intraocular pressure (IOP) measurement can be performed with different methods. Newer methods have to be compared to the standard method, the Goldmann applanation tonometry (GAT). We herein compare two air-puff tonometers, the non-contact tonometer (Tomey NCT) and the Corvis ST (CST) with GAT in eyes with a broad spectrum of IOP. Two hundred and forty-nine eyes of 249 patients (with diagnosis of either glaucoma or ocular hypertension) were included in this monocenter prospective cohort study. Each eye underwent IOP measurements via GAT, NCT and CST. Bland–Altman plots were calculated to compare the different methods in the three groups. Paired t tests were used for statistical comparison between the three measurement methods. 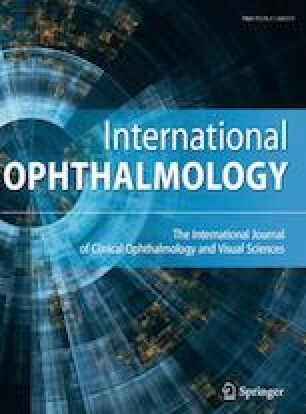 The difference between the different methods was tested on correlation against central corneal thickness (CCT). Mean IOP in GAT was 17.6 mmHg (standard deviation (SD) 5.9), 16.3 mmHg (SD 5.6) in NCT and 18.0 mmHg (SD 5.5) in CST. Comparisons between GAT and CST vs. NCT showed significant differences (p < 0.001), while GAT vs. CST showed no significant difference (p = 0.1162). Mean CCT was 538.7 µm (SD 35.1). Mean values of GAT and CST show comparable results. However, both GAT and CST differ significantly from NCT. NCT shows lower IOP values compared to both other methods.